Let your spirits soar! 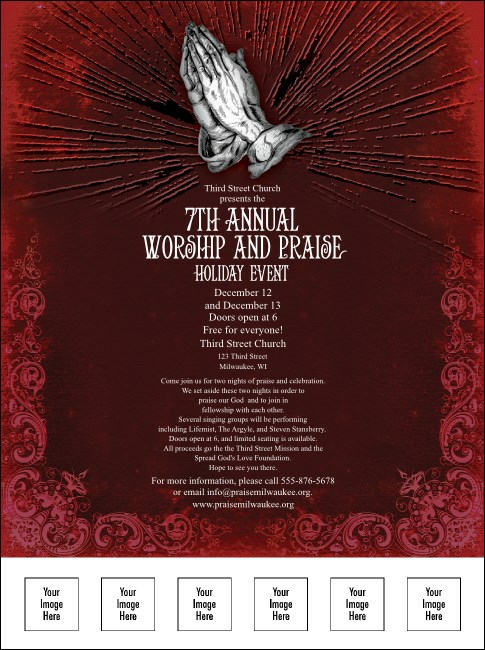 Trumpet news of your big show to the high heavens with the Gospel Flyer, with a red and gray praying hands designs and space to upload six of your own custom images to the template. You don't need a choir of heraldic angels when you choose the right publicity materials for your concert. Raise up your voice when you share your news with publicity materials from TicketPrinting.com.